We develop and invest in sustainable agriculture and energy technologies. If all the excess carbon accumulated in the atmosphere over the last century were spread uniformly over the earth's farmed land and cultivated forests, it would amount to a layer only about a tenth of an inch thick at the density of sandy soil. Deep, fertile "terra preta" soils on the banks of the Amazon provide abundant evidence of sustainable agricultural methods that successfully enriched carbon in topsoils for thousands of years. Updated versions of these methods are based on biochar, a form of charcoal made from biomass that would otherwise burn or rot. 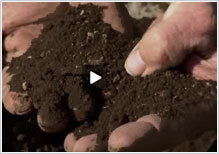 Biochar in soil helps retain moisture and nutrients, and creates resilient, healthier plants. 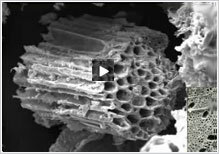 The above video, narrated by VenEarth partner Jerry Harrison, explains the history and promise of biochar. Solar airplanes flying above the weather at 50,000 to 80,000 feet are hospitable platforms for mobile wireless and computing services. Reliably intense sunlight above the cloud cover, low air friction, and cool temperatures provide an abundant flux of energy for solar avionics. Free-space optics span hundreds of miles between aircraft, while phased antenna arrays enable line-of-sight wireless service more than a thousand times closer to ground than geosynchronous satellites. Operating at 100% duty cycle, solar airplanes with less aggregate weight and battery capacity harness ~20 times more renewable power than a high-range electric car driven 15k mi per year, while generating an ample stream of ongoing subscriber service revenues. VenEarth and the VenEarth logo are trademarks of VenEarth Group LLC. Copyright (c) 2015 VenEarth Group LLC. All rights reserved.